CitiGroup is a financial corporation serving millions of customers around the world. They offer a wide array of services throughout the world for banking, investing, business, insurance, loans and cash management. CitiCards is a part of the CitiGroup family and as such comes with the solid reputation afforded the corporation. Citi credit cards offer a range of benefits and are available for personal use and business use. There are cards designed to suit all types of situations so you are sure to find the one that is best for you. Not only does Citi credit cards supply the typical selection of credit cards with varying interest rates, fees and rewards but they also offer an array of gas and retail store cards also. Unfortunately, for those who do not have good credit you may not qualify for one of the Citi credit cards. There is no option for secured cards with Citi credit cards so you need to have decent credit to apply. 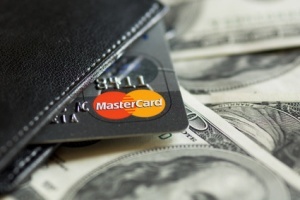 Citi credit cards offers Mastercard, Visa and American Express cards. For those who have excellent credit you can find cards for as low as 11.99 annual percentage rate. There are also cards that require no annual fee. Many of the cards also have introductory offers where you can get no interest for as much as a year on new purchases or as much as eighteen months on balance transfers. This is a great way to reduce your existing credit card debt while maintaining your good credit. Citi credit cards partners with several retail locations and gas stations so you can purchase items from these specific stores. The Sears credit card allows you to make purchases at Sears, K-Mart, Lands End and other stores in the Sears family. For household items, clothing and more, this is a great credit card to have. You will receive exclusive discounts, specials and sales by having this card and you also have the added convenience of being able to make in store payments on the card. Everyone can use home improvement supplies and this is why Citi partners with the Home Depot. You can purchase items for your home or garden plus you can enjoy no interest if your purchases over $299 are paid in full within six months. • Phillips 66, Conoco and 76 credit cards for purchases of gas and more at any of these gas stations. Plus you can get cash back from Cirrus ATM machines from around the country. Citi cards are available for college students who need the ability to purchase items but who may not have a lot of cash on hand without a job. You can have the convenience of paying for items via your credit card while your parents fund it. Plus you can learn positive money management habits about staying within budget and paying your bills on time. Many of the cards designed for college students have flexible terms and various rewards programs. You can get cash back or points that can be redeemed for gift cards or merchandise at partner shops. This is the perfect way to send any child off to college so that they feel secure that they have available funds to make purchases. Going off to college, especially if it is far away from home, can be scary. Having the security of a credit card in case of emergency is a great way to alleviate fears. Citi cards are great for personal use and come in a wide range of benefits. There is sure to be cards that are ideal for your particular needs. However, for those small business owners the need for a credit card to make business purchases is equally important. Citi cards makes it easy to manage your business funds with detailed invoices and handy tools to make accounting easier. Plus, as with the personal credit cards you can get some great rewards just by using your card to make purchases as you normally would. You can get cash back, reward points or travel miles. Citi credit cards are a great option. Whether you need them as a student, for personal use or small business use, there is a card available that will best suit your needs. You may even need more than one to suit specific occasions. For those with reasonably good credit Citi cards are a great way to go.